DANVILLE Interventional cardiologists specialize in removing blockages. When something impacts a patient’s blood flow, they clear the way and fix the problem. 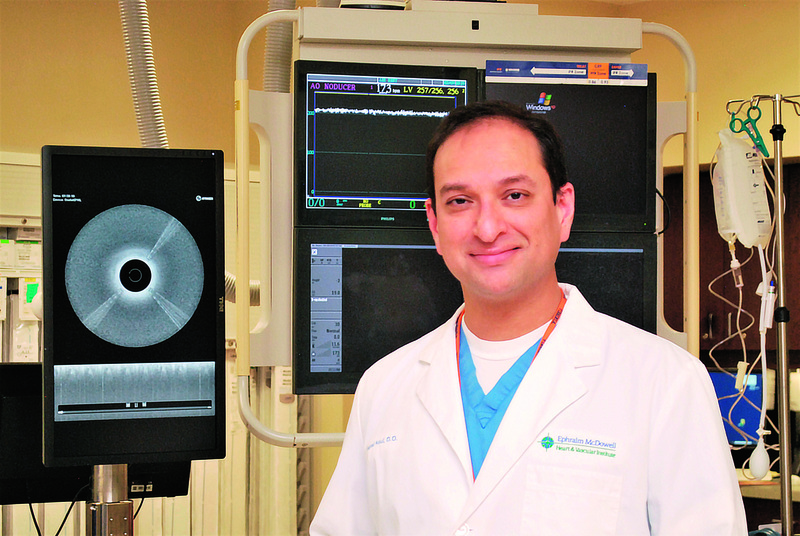 Recently, Hussam N. Hamdalla, MD, FACC, FSCAI, and Sharat Koul, DO, FACC, FSCAI, interventional cardiologists and endovascular specialists at the Heart & Vascular Institute at Ephraim McDowell Regional Medical Center (EMRMC) in Danville, have addressed a different type of obstacle to care for their patients. Conditions and procedures that were once referred to larger medical facilities farther away can now be performed in Danville. Managing and caring for vascular patients has always been a passion for Hamdalla and Koul. Patients with peripheral arterial disease (PAD) typically will have complete and immediate resolution of their symptoms, noticed the following day when they start walking. There have been significant advances in the field of vascular medicine within the past few years. These allow endovascular specialists to provide higher success rates with better long-term outcomes. Among those advances are the Ocelot and Pantheras devices, which have had a significant impact within the past few years. According to Koul, EMRMC is the only medical center in the state to have the Ocelot, which they acquired within the past three years. The Ocelot device uses optical coherence tomographic imaging, which minimizes the radiation exposure to both the patient and the staff, to perform the procedure. Previously cases that could involve up to 20 to 30 minutes of radiation are now cut down to less than few minutes. Furthermore, the imaging minimizes the risk of complications associated with these procedures. The Ocelot device is used in more than 30% of Ephraim McDowell’s vascular procedures now with a success rate of over 80%. Hamdalla and Koul are part of a five-member cardiovascular team, but it’s another example of teamwork that has led to the medical center’s unique investment in this technology. “When we discuss this device that can cost hundreds of thousands of dollars, the question is never how much will we get in terms of return on our investment; the question is always how much would that impact patients and change their lives,” says Hamdalla. Much like the vessels they repair every day, Koul and Hamdalla have similar origins, but took different paths to arrive at the same place. Koul, whose father is a pulmonologist, grew up in the Washington, DC, metro area, attended the University of Virginia, and then went to medical school at Kirksville College of Osteopathic Medicine in Missouri. He performed his residency at Cleveland Clinic and a cardiology fellowship at Advocate Illinois Masonic Medical Center in Chicago, followed by an interventional fellowship at the University of Kentucky. After working briefly in Atlanta, he moved back to Kentucky, joining EMRMC in 2011. Hamdalla also came from a medical family, with no fewer than six family members who are doctors, including his father who is a urologist and his wife who is a general practitioner. 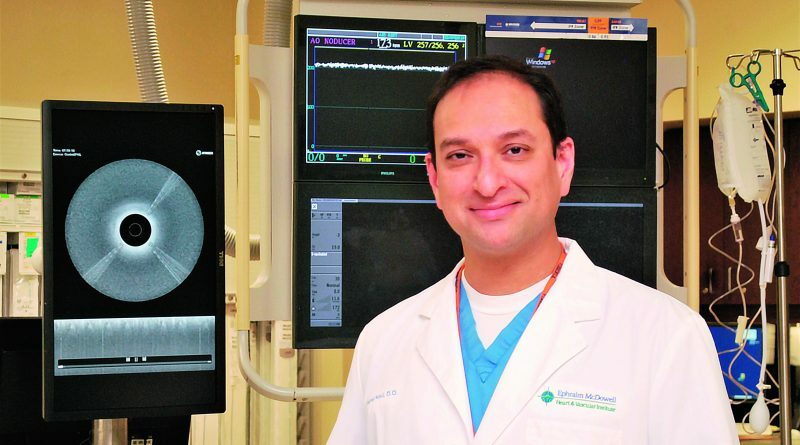 He first studied internal medicine at a Brown Affiliated Hospital in Rhode Island, and then interventional cardiology at the University of Kentucky before coming to EMRMC in 2009. Koul and Hamdalla have a shared passion for technology and staying current on the latest improvements in patient care. Koul says the Ocelot device is just one example of how advancements are changing the ability to treat serious conditions. Speed of treatment is essential, but so is speed of recovery. By using minimally invasive techniques, the team at Ephraim McDowell is able to limit most of the hospital stays to less than 24 hours. And, it’s not just a temporary fix. Koul agrees that these alternatives to surgery are here to stay and will only become more prevalent as other medical centers adopt these new technologies and procedures. And nothing is blocking the way.